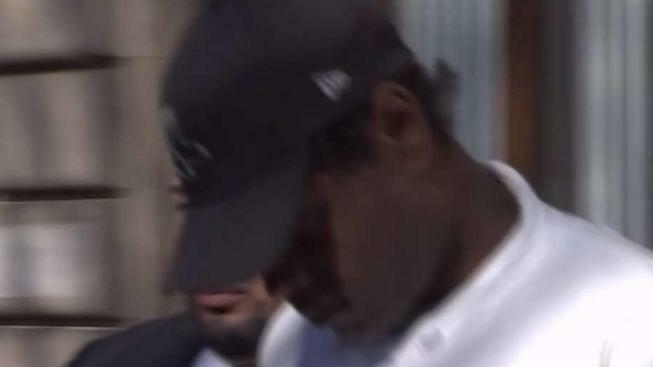 A man was arrested and charged in the beating of a 78-year-old woman on the subway, an attack that was recorded on video, police say. Wale Aliyu reports. Marc Gomez, 36, of Yonkers, was arrested and charged with assault and harassment, the NYPD said. He didn't respond to reporters as police escorted him into a car on Saturday afternoon. The victim suffered from bleeding and swelling with cuts to the face. The MTA released a statement Friday condemning the attack. It wasn't immediately clear whether Gomez had an attorney.